An article published on the official website of the Greek Orthodox Archdiocese of America paints an alarming picture for the future of the Church in America. According to statistics cited by the story penned by Peter S Kehayes, 60% of Greek Orthodox families of the last generation and 90% of Americans with Greek roots are no longer in communion with the Church. The article affirms that the issue lies with the large number of mixed marriages that take place in the Greek American community. According to statistics, the intermarriage rate is between 75% and 85%. The complete text of the article, entitled “An Important Challenge for Greek Orthodox Christianity” is below. In open pluralistic societies, intermarriages tend to become the rule, not the exception as growing majorities intermarry with the result that the Greek Orthodox Church is at a critical juncture in deciding how best to address the challenge that touches the heart of so many families and at the same time is so critical to the religious community’s well being and growth. Among Greek Americans, the intermarriage rate is between 75 and 85%; with a projected attrition of adherents of greater than 60% over the next generation. America’s unique place in history has been as a haven for many people of the world, a place where they could begin again to rebuild their lives and where they might practice their faith in peace in an ambience of tolerance, in a place of hope and rebirth, free from injustices and prejudices of the past. The Constitution guarantees their freedom. Changes have occurred in the cultural make up of Greek Americans since young men first arrived in America in the late 19th century to escape the chaos of their homelands and seek their fortunes. Over the next 100 years they came, limited only by quotas and war. Among them were the dispossessed, joining millions of immigrants from Europe looking for a new start. Those who came liked what they found and the vast majority remained to build a new life. They continued to come through most of the 20th century. By the second generation, an estimated 75% of Greek Americans were culturally and religiously intermarrying and melding with others in the American melting pot. The first Greek Orthodox Church was founded in New Orleans, almost 150 years ago, but in the main, communities began to appear in the late 19th and early 20th centuries, in an era encompassing the largest immigrations. By 1922, over 200 Greek Orthodox Churches had been built. Descendants of these immigrants are in their fourth or fifth generations and are several million in number with the vast majority beyond the second generation. However our Church in striving to preserve its cultural heritage continues to project itself as an ethnic religion and most people today view it as such with the result that Greek Orthodoxy has been decimated by attrition and faces a grave survival and identity crisis. In a startling find, statistics disclose over 60% of Greek Orthodox families of the last generation and 90% of Americans with Greek roots are no longer in communion with the Church. It is a concern shared by learned religious leaders who understand the need for a compassionate outreach towards intermarried families with sensitivity to differences among intermarried couples and the problems they face as a family. 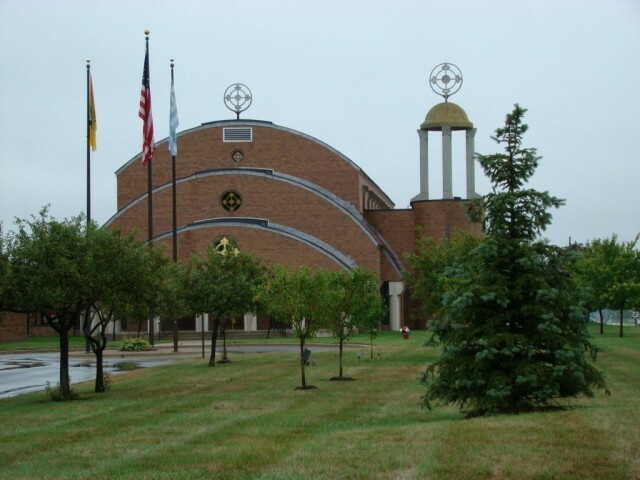 In the transition, as each population passes into successive generations, growing numbers of families move further from their origins, with the probability that our beloved Greek Orthodox Church in America will become moribund in the very near future. In our society today, religious affiliation of young families may be less about theology than of love, sensitivity and acceptance leading to a conversion of the heart. In America, where the Orthodox marriage constitutes a minority of marriages among people of Greek descent there is a critical and immediate need for a broad religious outreach; to make room for interfaith families who are typically our children’s families. The family must be encouraged to facilitate their worshiping as one family. Christianity left the confines of Judaism with a nudge from St Paul taking a giant step in extending Christianity’s outreach to all nations. In an act that can strengthen our Church and assure its future, the link must be created that transcends the stumbling blocks that have distanced growing numbers of families. Since 1922, with continuing immigration and with families spreading across America, over 300 churches were added; yet as the Greek American population has grown into the millions, the number of religiously observant communicants has dropped significantly. Although the Greek American population has grown extensively through immigrations and post war baby boomer periods, there are fewer active Greek Orthodox today, than in 1922: while the overall American population has tripled. Statistical analyses of reported data by the Archdiocese suggests the majority of marriages in a generation involving Greek Americans occur in jurisdictions other than our Church, and of those within its jurisdiction, interfaith marriages exceed Orthodox marriages by almost two to one. In an observation by the Archdiocesan office of religious outreach, Greek American intermarriage estimates were as high as 85 – 90%. Indeed, religious attrition has drawn the attention of religious leaders of all faiths. Certainly the high intermarriage trend has affected many institutional religions in a nation that increasingly embraces all religions and in the process has become more secular. On the national level, a survey of 54,461 adults in a Trinity College study, the Program of Public Values found 30% of all married couples did not have a religious wedding and 27% did not want a religious funeral. The study found mainline Protestant populations; Methodists, Episcopalians and Lutherans, declined over the past seven years, by 25%, reflecting the wide range of concerns among Christians of all denominations. In looking at other culturally based religions in America, the Roman Catholic Church with a population comprised of several nationalities, has also had interfaith marriages and lost communicants for a variety of reasons, however, with many Hispanics immigrating to America over the past fifty years attrition was masked, much as large immigrations in the 20th century obscured religious attrition in the Greek Orthodox Church. The Catholic Church’s early missionary expansion in the Western Hemisphere has evolved into large Catholic populations and Catholicism remains a predominant religion in the Americas. Smithsonian experts project that by 2050; the Hispanic population can be expected to double, from 14% to 29%, and from 42 million to 119 million as the over- all population continues to grow. Thus, even as the pre-existing core Catholic population is decreasing, Hispanic population growth can be expected to add millions of Catholic families in the coming decades with continuing growth in America. The Asian population is also projected to grow from 5% to 9%, from 15 to 37 million people, together with continuing growth of the national population in a change that can be expected to impact religious diversity in America. Conversely, the Greek Orthodox population continuing in the current trend and without supporting immigration to bolster its numbers is expected to lose over half of its religious constituency over this period. In another study, Jewish rabbis reported over 50% intermarriages among Conservative Jews, with only one of three families remaining Jewish an effect they feel could reduce Conservative Judaism from its present estimated 5 millions to insignificance within two generations. 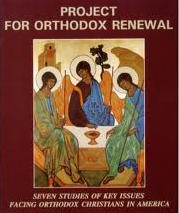 The Trinity report disclosed the number of Jews who described themselves as religiously observant has dropped from 4 million in 1990 to 2.7 million in 2008; in a common concern, both the Jewish religious and Greek Orthodox presence are expected to decrease substantially if current trends are not addressed. In comparing the two religions, intermarriages within the Greek Orthodox Church on a large scale began at an earlier time. They are further along the attrition rate curve; their situation in the immediate future is more critical. What should be clearly manifest is that the Greek Orthodox Church in America must look hard at how accessible our religion is to evolving young families. If it is to continue its sacred ministry in America, it must find a way to encompass the old and the new. If our faith hopes to have a presence in the future in America, it must be sensitive to the contemporary world. The span between past and future is too great. It is a challenge facing caring clergy and laity alike. *America has no national church and no council of elders that can adjudicate the perplexing moral questions that face us. The founding fathers in refusing to establish a central authority of moral judgment ensured that the problems of the people must be addressed by the culture itself, a precept drawn from the notion that the power of the state draws not only from the consent of the people, but from a government of the people grounded in Christian moral tradition. Sources: Trinity College report 2010/Hartford Study 2000, CUNY Report 2005; Archdiocese Yearbook, 2005, Understanding the Greek Orthodox Church, Rev Dr. Constantelos. Star Ledger: Diamant report on rabbinic studies. Smithsonian magazine: Experts project changing populations, 2010. 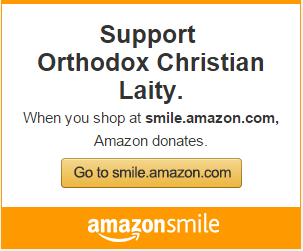 Orthodoxy in a Brave New World. This is a noteworthy problem, and one that cannot be blamed on intermarriage resulting in people leaving the Church, which is merely a symptoms. The diagnosis is the secularization of the faithful in which Orthodoxy loses priority on the long list of items that are front and center in our contemporary culture. The treatment is proper catechesis (both in the home and in the parish), and equally important is conducting the services in a language that is intelligible to the youth. Without these elements there isn’t much hope of stopping the attrition.